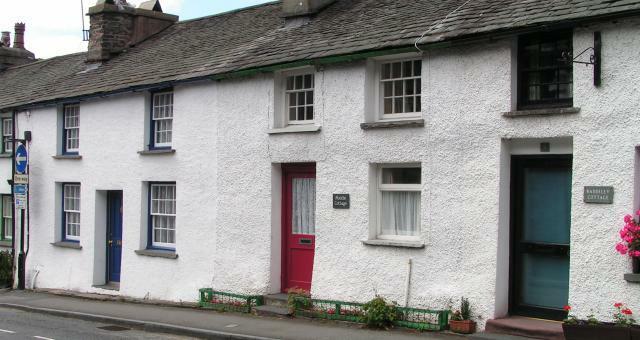 6 Church Street015394 41680work Self-cateringThis charming 17C Grade II listed traditional Lakeland cottage is situated in the heart of Ambleside. It is convenient for all local amenities including a good selection of shops and restaurants and is also an ideal base for walkers. The Fairfield Horseshoe starts within one mile of the cottage. The cottage has the benefit of full gas central heating. There are two bedrooms, a snug sitting room/diner with an open fire and colour television and video recorder and a fully fitted kitchen including a dishwasher and microwave. 6 Church Street offers weekly bookings starting on Friday and short breaks of 3 days starting on any day in some seasons. 2 bedrooms. 1 double and 1 twin. Bed linen, tea towels, bath mat, cot, high chair and parking permit are all included. Towels, electricity and gas are not included. The property furnishings are a little dated but it was presented well, clean and with everything we needed for our 3 day stay. Main reason to book this cottage was the location in our favourite place. As previous reviewers mentioned, it is rather small and although it was perfectly fine for our family with 2 teenagers it may feel a bit small if you intend to spend more time indoors. We tend to be out for most of the time, only returning in the evenings. It may prove a challenge to feed a group of four. The one dinner we cooked indoors was eaten in turns at the small table available. We were really pleased with supplied coal for the fire as we visited in winter time and enjoyed the evening sitting by the fire. Parking was an issue even outside school holidays and low-ish season. We have not managed to park in the reserved street once. However, we know the town and managed to park in other areas or outside the house once restrictions did not apply. Overall, we would return to this cottage as it is suitable enough for our needs. 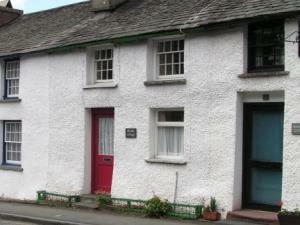 This charming 17C Grade II listed traditional Lakeland cottage is situated in the heart of Ambleside. It is convenient for all local amenities including a good selection of shops and restaurants and is also an ideal base for walkers. The Fairfield Horseshoe starts within one mile of the cottage. The small south west facing garden/sitting out area at the back of the cottage is a little sun trap. The nearest car parking area is about 50m from the cottage or there is one hour parking immediately outside the cottage. Outdoor south west facing patio with tables and chairs to rear. Children welcome from any age. Leave the M6 at jct 36 and then at the motorway roundabout take the 1st exit onto the A591, signposted Kendal and Barrow. Continue on the A591, sign posted Windermere for approximately 18 miles passing Staveley, Ings and Windermere turn offs on the way. When entering Ambleside continue forward onto Lake Road A591. You will pass Hayes Garden Centre on your left. Continue to a BP garage on your right and follow the road sharply to the left. Your are now in the one way system. Keep in the right hand lane then turn right onto Rothay Road A593 (signposted Keswick, Grasmere A591) after about 300m. Keep in the left hand lane then bear left onto Compston Road A593 (sign posted Keswick, Grasmere A591). At the traffic lights at the top of the hill turn right onto the Slack, you will shortly pass Barclays Bank on your left on a sharp corner. The road turns right onto St Marys Lane then turn right onto Church Street. 6 Church Street is on the right half way down the road.